Please contact us to order today! You can also find by visiting us at our farm store. 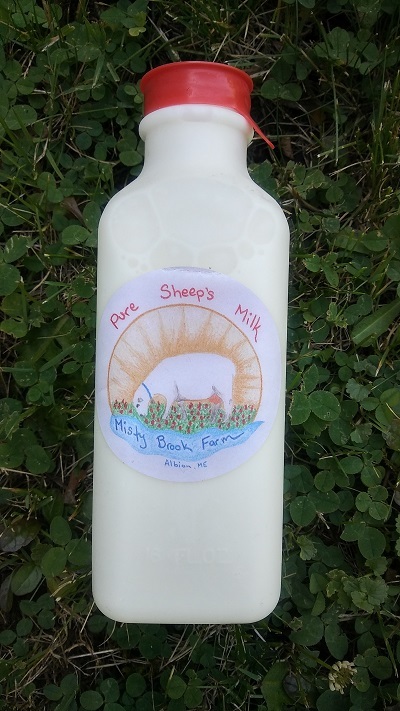 The milk is sweet and delicious… from ewes grazed on certified organic pastures. These ladies eat organic oats while milking and are some of the happiest sheep in Maine. 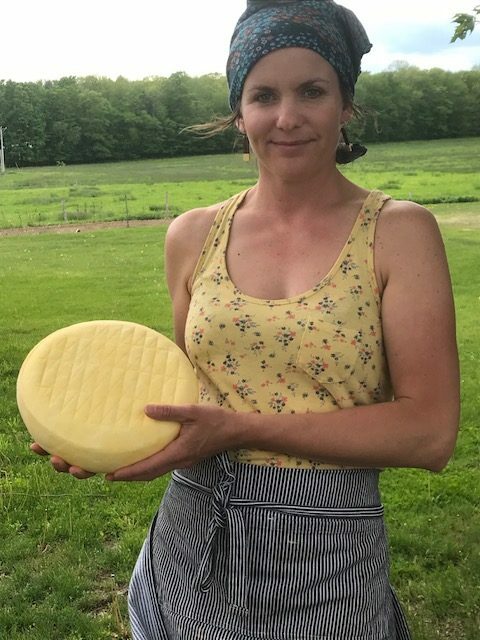 Misty Brook is the first farm to offer pure raw sheep’s milk. Sheep milk tastes a lot like cow milk. It is not gamey tasting like goat milk and is light, creamy and sweet. “Sweet” is the word most heard when tasting. When we’ve done taste testing in stores the response is “wow we love this!”. The fat globules in sheep and goat milk are smaller than in cow milk, which makes it a healthy alternative to cow milk and wonderful for children. In doing some research they even say Sheep milk is the closest to human milk. 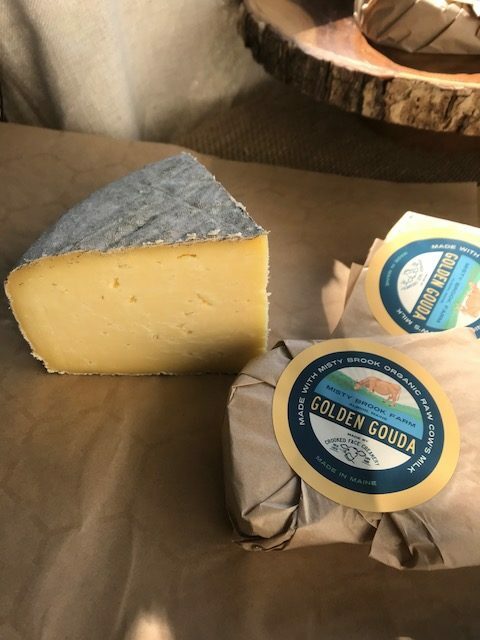 It seems we might say the same about goat milk but often find that flavor is not as nice as sheep milk. This entry was posted in Products on June 26, 2018 by Jeremy Bloom.